To map the OneDrive for Business cloud drive on Windows, you have to tweak IE settings before you mount the cloud drive. With mapped network location, you don’t have to keep any offline files and easy to upload files by drag and drop to network location. It sometimes disconnects time to time and you have to reconnect it with same steps below. d. Copy the URL from the address box and add Documents in the end like below example. a. Open File Explorer (or My Computer in older Windows) and select This PC on the left side tree. 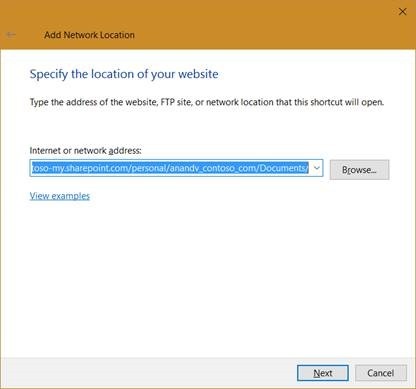 b. Click on Add Network Location button in the ribbon (or right click on empty space in File Explorer and select Add Network Location). e. Copy and paste modified URL as above (e.g., https://contoso-my.sharepoint.com/personal/JohnDoe_contoso_com/documents). And click Next. 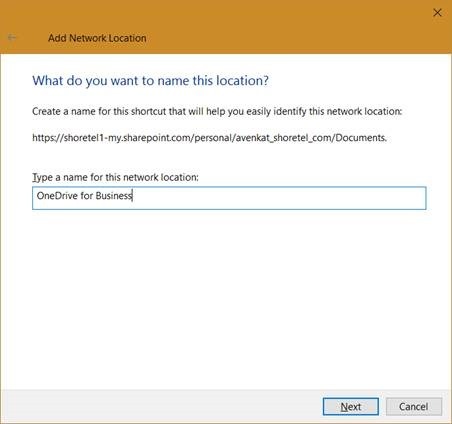 f. Enter a name for your network location and click Next and Finish to complete the wizard. g. You will find the mapped network location in My PC section. If the Network Location disconnected for some reason, try reconnecting it with the same steps above. 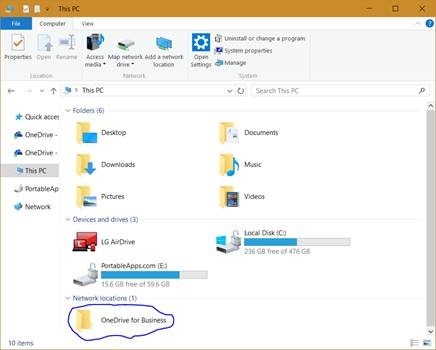 I usually save my OneDrive for Business URL in a text file for quick reference.